Over the past several days Bitcoin (BTC) has seen an extended period of sideways trading within an extremely tight trading range between approximately $3,550 and $3,650. Although this lack of volatility may be welcomed by investors who are tired of the cryptocurrency’s frequent price movements, historically involatile price action leads to a massive price movement in one direction or another. At the time of writing, Bitcoin is trading up nominally at its current price of $3,600. Last Sunday, BTCdropped from $3,750 to lows of approximately $3,550. BTC further solidified the latter price as a strong level of support, as it quickly bounced to over $3,600 after touching this price level. Earlier today, Bitcoin climbed to highs of $3,650, but was swiftly pushed back down towards its current price levels, which confirms that it is currently caught in a trading range between $3,550 and $3,650. TayTrox Trading, a cryptocurrency analyst on Twitter, recently pointed out that after long bouts of involatile trading action, BTC typically makes a large price move. $BTC Last time we traded in a tight range for this long we all know what happened. What will happen this time? As can be seen in the above chart within TayTrox’s tweet, Bitcoin previously witnessed a multi-month period of sideways trading from early-September to mid-November of 2018, from which it broke downwards from approximately $6,400 to the $3,000 region. It is likely that the longer BTC trades sideways, the bigger the resulting price move will be. 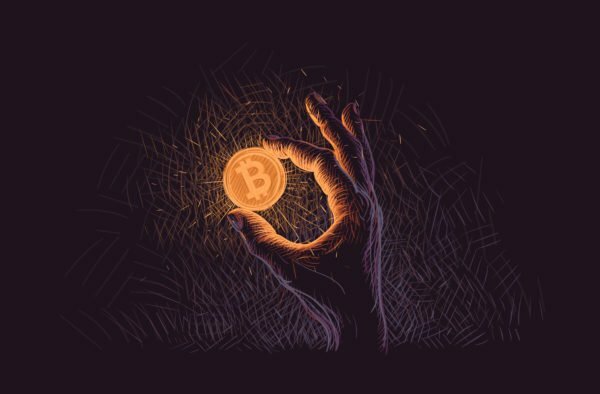 For the past couple of weeks, Bitcoin has seen increased levels of volatility on the weekends, which may be the result of a decrease in trading volumes during these times. As of late, Bitcoin has been experiencing volatile weekends. Although this weekend is off to an involatile start so far, Mayne, a popular cryptocurrency trader, noted in a recent tweet that Bitcoin could very well climb higher in the coming days if it is able to break above a few key levels. “$BTC if we break above the grey block you can add or wait until a break and close above yearly open to add,” he said, with the referenced “grey block” existing around $3,650. Mayne later noted that Bitcoin has moved closer to this region, and if it is able to break above its yearly open at approximately $3,700 it could see a price surge up to $4,000. As usual, Bitcoin’s price action over this weekend will likely set the tone for the week to come.